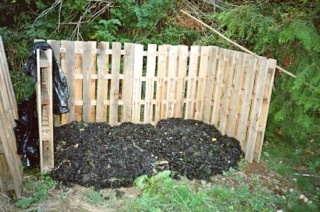 While traveling in Europe and working on organic farms I was involved a beautiful process of making compost. 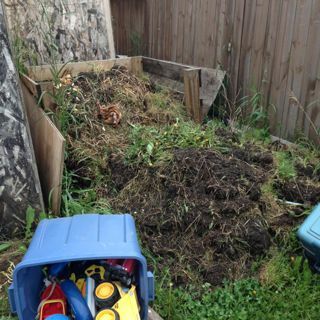 The five-acre farm accumulated all their garden debris and then made a compost pile every 6 months. Over a 6 weeks period this debris pile turned into a rich black gold. They separated all their debris into 3 piles: one of all the green matter (kitchen waste, green garden matter, weeds that had not gone to seed, and grass clippings), second was of the brown matter (broccoli and corn stalks, small pieces of wood, straw, and hay), and a third pile of left over compost and soil. They also collected all their own urine. Before assembling the pile they made sure all the brown matter was chopped into small pieces, using a manual chipper. The first step was to clear and level a 4-foot by 4-foot area. We then started the pile by laying a foot depth of green matter as the first layer covering the 4 foot square area, we then added a foot depth of the brown matter materials, the third layer was six inch layer of compost or soil, and the final piece was pouring a bucket of urine over the pile. The layering continued until all the debris was in the pile. By the end of the debris we were on stepladders as the pile got to a height of 7 - 8 feet tall. The next day we came back to look at the pile and it had dropped by nearly half the height and was steaming. 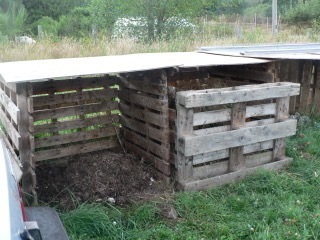 Over the week we were there we could see the pile decomposing and they had lovely rich smelling compost within 6 weeks. We only saw pictures of the completed pile but were so pleased that we were able to be part of the creation. 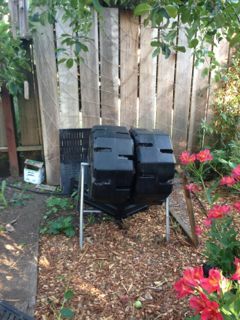 This may not be the way you want to make your compost as they needed a fairly large area to accumulate the debris and most of us do not collect our urine in barrels. 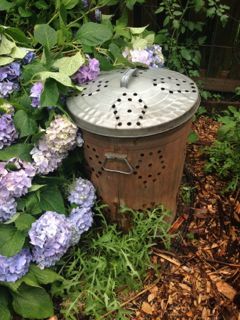 There are however a few great tips that can help you in your own backyard compost endeavours. Tip #2 layer equal amounts of green matter, brown matter, and soil. Tip #3 make sure your pile is moist but not soggy. Tip #4 make your pile large enough so it will get hot in the centre. The pile should be at a minimum 3 - 4 feet square. 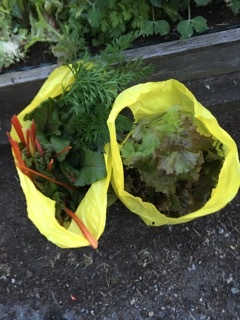 I started growing in a community plot in my new neighbourhood in Vancouver, British Columbia Canada. The area is approx. 20 square feel in size. 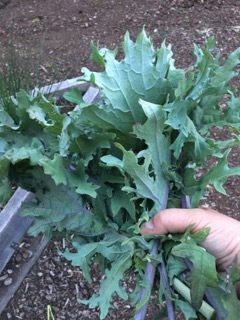 Over the past month I have had a very productive harvest of salad greens, swiss chard, and kale. 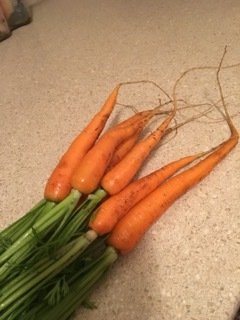 I have also enjoyed eating my fresh carrots, beets and snow peas. Cucumber are growing well and need to be trellised; on my to do this next week.